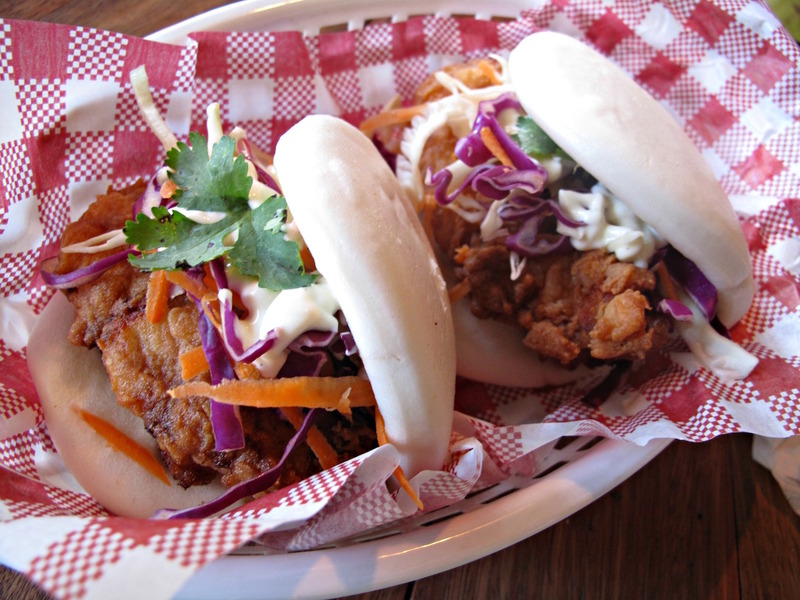 The Bao Bros are coming to Footscray. They’ve secured a very interesting location. But its unveiling is several months away. In the meantime, they’ll be testing their recipes, processes and skills at that sublime monument to good times known as Littlefoot. For details of how that pop-up-style project will unfold in terms of how and when, check the Facebook pages of either the Bao Bros or Littlefoot. 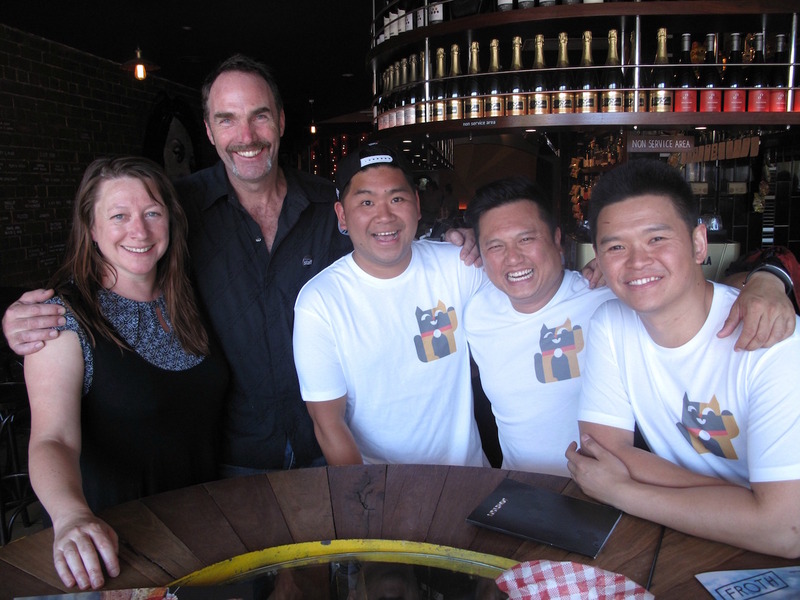 Littlefoot’s Liana and Stu with the Bao Bros crew – Mickey, Kiet and Long. 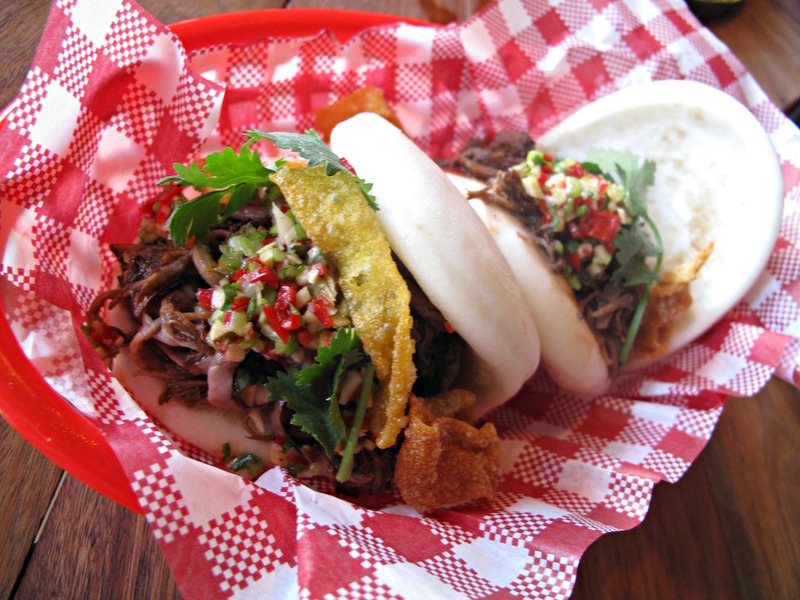 If you look up “bao” at, say, Wikipedia, you’ll find the main reference is to the likes of pork buns familiar from yum cha. 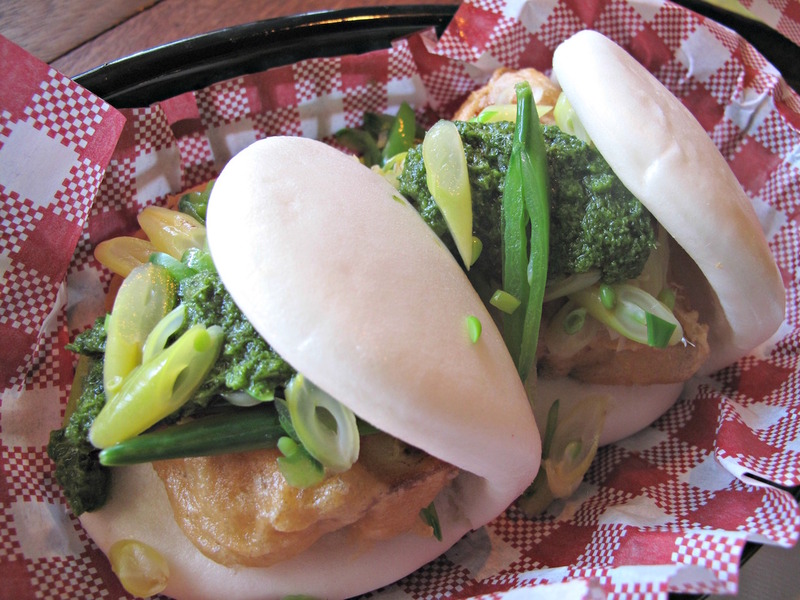 The Bao Bros offerings, though, are by way of a Taiwanese variation in which the buns are turned into fat sandwich casings. The idea, I’m told, is that the buns be so ethereal and lightweight that they virtually disappear and let superior ingredients shine. On that account, Bennie and I reckon the Bao Bros score really well. We loved their handiwork and were grinning right from the first mouthful when he and I joined a group of folks acting as guinea pigs for the Bao Bros bun line-up. We reckon these make for a delicious fast-food experience. The pricing will be in a very good $5 to $8 range, and maybe two for $10. Or, in my case, almost all five. I didn’t make it as far as the tofu number (top photograph) but Bennie actually liked it the best, digging its crisp tofu, crunchy veg and dollops of pesto. Pulled pork was, for me, top dog (or top pig) – salty, wet and with a bit of a spice kick. The beef was almost as good. The fish items were, too, very good, with crisp-battered fish, tartare sauce and dill. 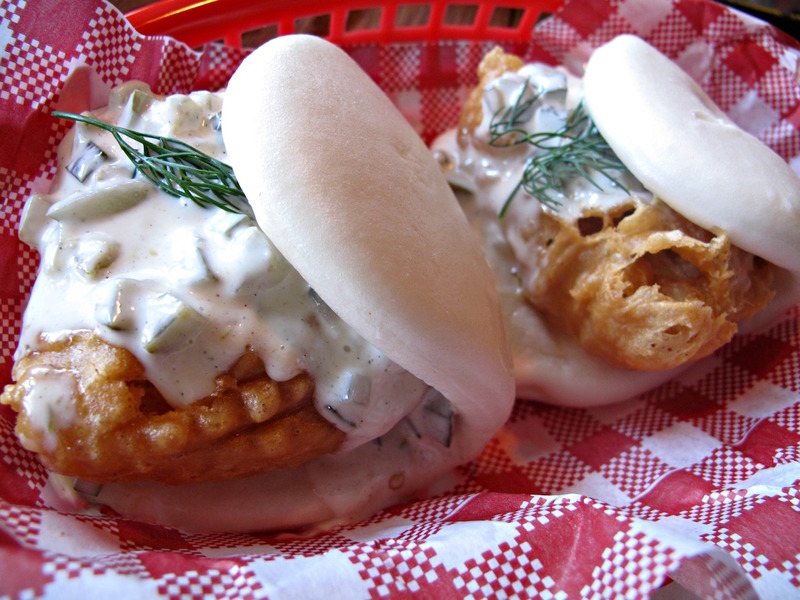 The fried chicken bao looked a treat but were the only ones that fell down on the job a little for us. The chook was beautifully cooked but rather flavourless, while the slaw could’ve been more finely chopped and had more dressing. 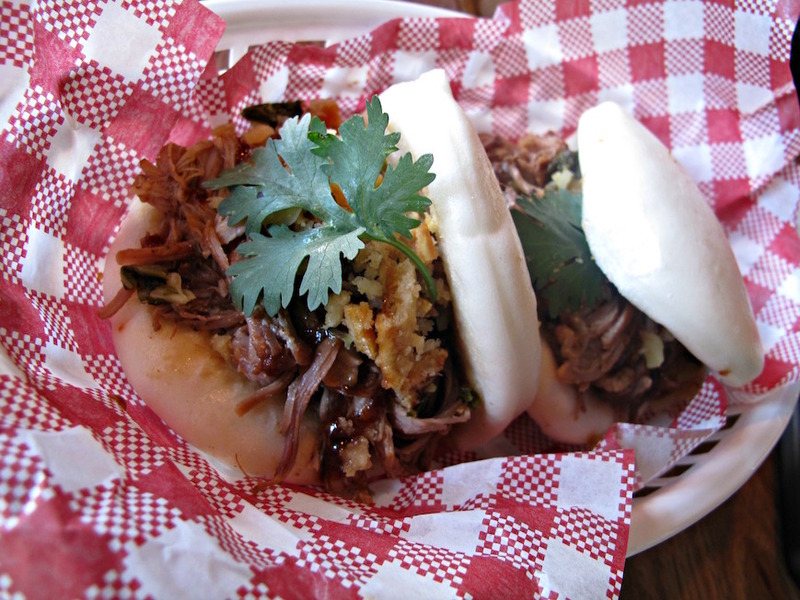 Those minor quibbles aside, we loved our bao! See earlier Littlefoot story here. 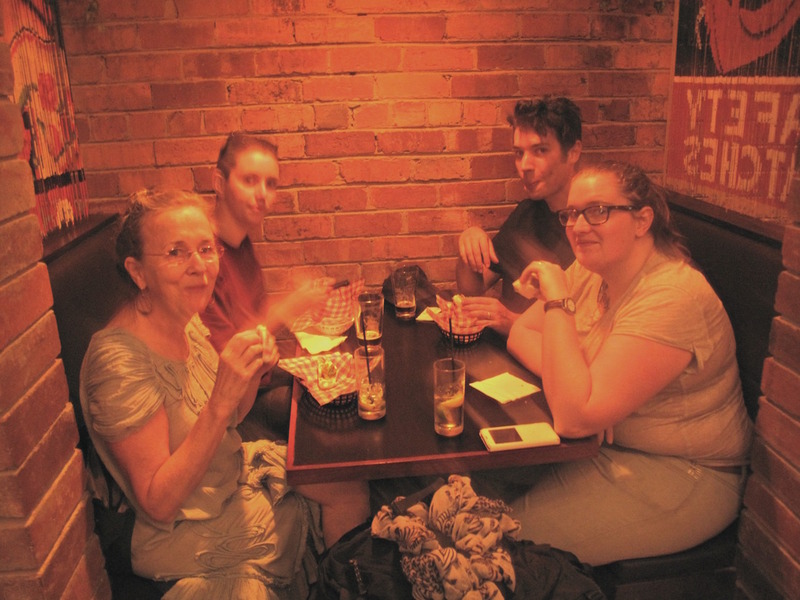 CTS reader Zelda (on the right) and her pals were on bao test duty, too, and were as impressed as we were. Oh yes! Must try these. The pop up is open and it’s yum. Beef and fish my faves. Looking forward to the permanent eatery in Paisley St. Gutsy choice for a location but if they are on the vanguard of change then good on em!